University of California, San Diego, M.F.A. Adrianne Krstansky is a professional actor and director and currently Associate Professor of Theater Arts at Brandeis University. In the New England area she has performed at Huntington Theater Company, The American Repertory Theater, Speakeasy Stage Company, Boston Playwrights Theater, New Repertory Theater, Lyrics Stage Company, Gloucester Stage Company and Commonwealth Shakespeare among others. She is the winner of Boston's Eliot Norton Award and Independent Reviewers Awards for her performance in Come Back Little Sheba at the Huntington Theater Company. In New York City and regionally she has appeared at The Public Theater, Atlantic Theater Company, Steppenwolf Theater, LaJolla Playhouse. Film credits include featured roles in Columbia Picture's Little Women (Greta Gerwig), American Woman, The Company Men and the HBO miniseries, Olive Kitteridge. She recently appeared in The Roommate at The Lyric Stage Company in Boston. Upcoming appearances include Tribes at the Kitchen Theater in Ithaca, NY and They All Fall Down (World Premiere) at The Huntington Theater Company. Her adaptation of Virginia Woolf’s A Mark on the Wall was presented at the International Virginia Woolf Conference 2014. She is a tenured Associate Professor of Theater Arts at Brandeis University where she teaches Acting, Collaborative Process, Directing and Improvisation. She directs departmental productions. Her last project was the collaboratively devised play ‘Ordinary Mind/Ordinary Day’ based on Virginia Woolf’s short story collection Monday or Tuesday. She currently is working on a theatrical adaption of The Waves and continues her research on performing the texts of Virginia Woolf. She holds an MFA from the Professional Actor Training Program at the University of California, San Diego and has a BA in Theater Arts from Beloit College. She is a member of the Actors Equity Association and the Screen Actors Guild. Little Women adapted and directed by Greta Gerwig. Actor Krstansky, Adrianne. Columbia Pictures, 2019. The Roommate. By Jen Silverman. Actor Krstansky, Adrianne. Lyric Stage Company, Boston, Oct - November 2018. Tribes. By Nina Raine. Lead Actor Krstansky, Adrianne. The Kitchen Theater, Ithaca, New York, May - June 2018. Atonement. Actor Krstansky, Adrianne. Israeli Stage, Boston Center for the Arts, June 2017. Burning Woman. Actor - principal role Krstansky, Adrianne. Jake Scott Productions - Jake Scott, director, September 2018. Every Brilliant Thing. By Duncan Mc Millan. Actor - Narrator Krstansky, Adrianne. Speakeasy Stage Company, Boston Center for the Arts, March 2018. Fefu and Her Friends. By Maria Irene Fornes. Director Krstansky, Adrianne. Brandeis Department of Theater Arts, October 2017. Alone Above a Raging Sea. By Christopher Oscar Pena. Mother Krstansky, Adrianne. Huntington Theater - Breaking Ground New Play Festival, Huntington Theater, Sept..
Barbecue. By Robert O'Hara. Lillie Anne (Actor) Krstansky, Adrianne. Lyric Stage Company of Boston, Lyric Stage Company of Boston, March 15 - May. Doll's House. By Henrik Ibsen. Anne Marie Krstansky, Adrianne. Huntington Theater Company, Huntington Theater Company, Dec - Feb 5. Screwtop. By Dan Hunter. Performer Krstansky, Adrianne. Boston Playwrights Theater, Boston Playwrights Theater, August 2016. Yerma. By Frederico Garcia Lorca. Incarnacion Krstansky, Adrianne. Arts Emerson, Emerson Stage, Dec..
Yerma. By Frederico Garcia Lorca. Incarnacion Krstansky, Adrianne. Huntington Theatre, Huntington Theatre, March. All at Once Upon a Time. By GIselle Ty. Performer/Collaborator Krstansky, Adrianne. Peabody Essex Museum, December 2015. Blackberry Winter. By Steven Yockey. Vivienne Avery Krstansky, Adrianne. New Repertory Theater, March - April. Mud Blue Sky. By Marisa Wegrzyn. Angie Krstansky, Adrianne. Bridge Repertory Company, Boston, Boston Center for the Arts, May/June. The New Electric Ballroom. By Enda Walsh. Ada Krstansky, Adrianne. Gloucester Stage Company, July - August 2015. You Enjoy Myself. By Topher Payne. Actor Krstansky, Adrianne. Merrimack Repertory Company, October 2015 - one week workshop. Krstansky, Adrianne. "An Audience Revolution - Taking the Stage." Theater Communications Group Source Book (2016): June 2016. Chatal. By Written by Sinan Unel, Directed by Melinda Lopez. Actor Krstansky, Adrianne. Huntington Theater, July 2014. Come Back Little Sheba. By William Inge. Actor/Lola Krstansky, Adrianne. Directed by David Cromer, Huntington Theater Company, March/April 2015. Dead Man's Cell Phone. By Sarah Ruhl. Director Krstansky, Adrianne. Brandeis Theater Company, October 2014. I Was Most Alive With you. By Written and Directed by Craig Lucas. Actor Krstansky, Adrianne. Huntington Theater Company, September 2014. Make My Heart Flutter. By Hanoch Levine. Actor Krstansky, Adrianne. Israeli Stage, October 2014. Imagining Madoff. By Deborah Margolin. Actor in the role of The Secretary Krstansky, Adrianne. New Repertory Theater, Arsenal Center for the Arts, Watertown, MA, December 2013 - February 2014. Imagining Madoff. By Deborah Margolin. Actor in the role of the Secretary Krstansky, Adrianne. Boston Center for American Performance, Boston University Studio, June 2014. Olive Kitteridge - HBO miniseries. Actor in the role of Cynthia Bibber Krstansky, Adrianne. HBO, 2014. On the Verge. By Eric Overmeyer. Actor in the role of Fanny Krstansky, Adrianne. New Repertory Theater, Arsenal Center for the Arts, April - June 2014. Richard the Third. By William Shakespeare. Actor in the role of The Duchess of York Krstansky, Adrianne. Commonwealth Shakespeare Company, Babson College Performance Series, November 2013. Tribes. By Nina Raine. Actor playing the role of Beth Krstansky, Adrianne. Speakeasy Stage Company, Boston, Calderwood Pavillion - Boston Center for the Arts, Sept/October 2014. Krstansky, Adrianne. "Performing Woolf." International Virginia Woolf Conference. Chicago, IL. June 5-8 2014. Character Analysis. Actress Krstansky, Adrianne. Radcliffe Fellowship - Director - NYC director David Levine, 2013. Legally Dead (world premiere). By Dan Hunter. Actress in the role of Annie Krstansky, Adrianne. Boston Playwrights Theater, Boston University, Jan - Feb. 2013. Paradise Lost. By Clifford Odets. Actress in the role of Bertha Krstansky, Adrianne. New York Theater Workshop - Director , Daniel Fish, New York Theater Workshop, April. A Mark on the Wall. By Virginia Woolf, adapted by Adrianne Krstansky and Abigail Killeen. Adaptor/Director/Performer Krstansky, Adrianne. Brandeis University - workshop production, Independent, November 2011. Holiday Memories. By Truman Capote (Adapted by Russell Vanderbrooke). 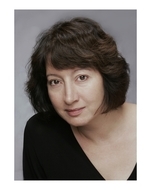 Actor in the role of Ms. Sook Krstansky, Adrianne. The New Repertory Theater, Arsenal Center for the Arts, Watertown, MA, December 2012. Ordinary Mind/Ordinary Day. By Text by Virginia Woolf Adapted by Adrianne Krstansky and Abigail Killeen from Monday or Tuesday by Virginia Woolf. Adaptor/Director Krstansky, Adrianne. Spingold Theater Center, Brandeis Theater Company - New Play Workshop, February 2012. Round and Round the Garden. By Alan Ayckbourn. Actor in the role of Ruth Krstansky, Adrianne. The GLoucester Stage Company, Glouceter, MA, June/July 2012. Superior Donuts. By Tracy Letts. Actor in the role of Randy Osteen Krstansky, Adrianne. Smith College, Mandell Hall, The New Century Theater, July 2011. Three Viewings. By Jeffrey Hatcher. Actor in role of Virginia Krstansky, Adrianne. Boston Center for American Performance, Boston University, May-June 2012. Three Viewings. By Jeffrey Hatcher. Virginia Krstansky, Adrianne. Arsenal Center for the Arts, Watertown, MA, The New Repertory Theater, Nov/Dec 2011. Krstansky, Adrianne. "A Mark on the Wall by Virginia Woolf (A Performance)." Bowdoin College Faculty Seminar. Bowdoin College. March 2012. Afterlife: A Ghost Story. By Steve Yockey. Actor in the role of The Proprietess Krstansky, Adrianne. Arsenal Center for the Arts, Watertown, MA, New Repertory Theater, Jan - Feb 2011. Antony and Cleopatra. By William Shakespeare. Director Krstansky, Adrianne. Actors Shakespeare Project, The Modern Theater at Suffolk University (premiere professional production in this theater), May - June 2011. Body Awarness. By Annie Baker. Performer in the role of Phyllis Krstansky, Adrianne. Calderwood Pavilion at the Boston Center for the Arts, Boston, MA., Speakeasy Stage Company, October - November 2010. Othello. By Willam Shakespeare. Performer in the role of Emilia Krstansky, Adrianne. Boston Commons, Commonwealth Shakespeare Company, July - August 2010. Paradise Lost. By Clifford Odets. Actor in the role of Bertha Katz Krstansky, Adrianne. Harvard University Loeb Theater, American Repertory Company Directed by Daniel Fish, March 1-15 2010. Paradise Lost. By Clifford Odets. Bertha Katz Krstansky, Adrianne. Loeb Theater, Harvard University, Cambridge, MA, American Repertory Theater, Feb/March 2010. The Company Men. Carol Krstansky, Adrianne. Company Men Productions, 2010. 2.5 Minute Ride. By Lisa Kron. Actress in role of Lisa Krstansky, Adrianne. Arsenal Center for the Arts, Watertown, MA, The New Repertory Theatre, Oct 2009. A Child's Christmas in Wales. By Dylan Thomas. Actress in role of the Mother Krstansky, Adrianne. Boston University, Boston Playwrights Theater, February 16, 2009. Bad Dates. By Teresa Rebeck. Stage Director Krstansky, Adrianne. Elayne Bernstein Theater, Shakespeare and Company, Lennox, Massachusetts, January 14 - March 7 2009. Bad Dates. By Teresa Rebeck. Stage Director Krstansky, Adrianne. MRT, Lowell, Massachusetts, Merrimack Repertory Theatre, March 19 - March 29 2009. Slasher. By Allison Moore. Frances Krstansky, Adrianne. Wellfleet Harbor Actors Theatre, Wellfleet, MA, Wellfleet Harbor Actors Theatre, March 27, 2009. The Company Men. By John Wells. Actress in role of Carol Krstansky, Adrianne. in production - national release, John Wells - Producer, Release date 2010 - Production dates April - May 2009. The Leer Sisters. By Larry Switsky. Actor in the role of Gamma Krstansky, Adrianne. Harvard University, American Repertory Theater, November 2009. Trojan Barbie. By Christine Evans. Actress in role of Hecuba Krstansky, Adrianne. Harvard University, American Repertory Theater, Cambridge MA, February 4, 2009. A Little Work. By Anita Diamant and Stephen McCauley. Mia Krstansky, Adrianne. Stuart Stree Playhouse, Stuart Street Playhouse in Boston, June 2007. Gary. By Melinda Lopez. Performer Krstansky, Adrianne. Boston Playwrights Theater, Boston Playwrights Theater, February 28 - March 16 2008. November. By David Mamet. Actress in the role of Clarice Bernstein Krstansky, Adrianne. Lyric Stage, The Lyric Stage Company of Boston, October 24 - November 15 2008. Sow and Weep. By Nitzan Halperin. Durriyah Krstansky, Adrianne. Arsenal Center for the Arts, Boston, MA, New Repertory Theater, 3/24/2008. The Children. By Michael Elyanow. Actress in the role of the Nurse Krstansky, Adrianne. Shakespeare and Company, Lennox, MA, Shakespeare and Company, Lennox, MA, June 2008. The Macbeth Project - The making of Actors Shakespeare Project all female Macbeth (Documentary). participant/interviewee Krstansky, Adrianne. Actors Shakespeare Project, 2008. The Making of 'Gary' - Documentary. Performer Krstansky, Adrianne. Boston University, 2008. WELL. By Lisa Kron. Actress in the role of Lisa Krstansky, Adrianne. Smith College, New Century Theater at Smith College, July 9 - 19. 356 days/365 plays. By Suzan Lori Parks. Ensemble Krstansky, Adrianne. Blessed Unrest Theater Company, New York City, The Public Theater, New York City, May 2007. Britannicus. By Racine. Performer - Role of Albina Krstansky, Adrianne. Loeb Drama Center, Harvard University, Cambridge, MA, American Repertory Theater, Jan/Feb 2007. Macbeth. By William Shakespeare. Director Krstansky, Adrianne. Studio 102 at Boston University, Actors Shakespeare Project, October 18 - November 18, 2007. The Etty Project. By Kirk Lynn. Ensemble Krstansky, Adrianne. Brandeis University, FortyMagnolias Production, July 2006. Thom Pain (based on nothing). By Will Eno. Director Krstansky, Adrianne. The New Repertory Theater, Arsenal Theater, Watertown, MA, September 2006. The Bacchae. By Euripides. Actor - Role of Agave Krstansky, Adrianne. Spingold Theater Center, Brandeis Theater Company, April/May 2006.